Now you can do whatever you like with Product Listing Ads analytics data! Pull data on PLA Positions, PLA Competitors, and PLA Copies via API, and use them for your own third-party applications. A little bit of programming, and you’ll be able to enrich your widgets, apps, and portals with exclusive e-commerce information! 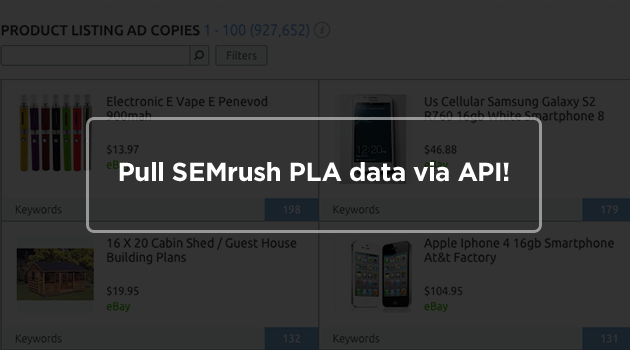 Before you can use SEMrush API, including PLA data, you must have an API key for your account. To get one, sign up for a subscription, or check your SEMrush profile. 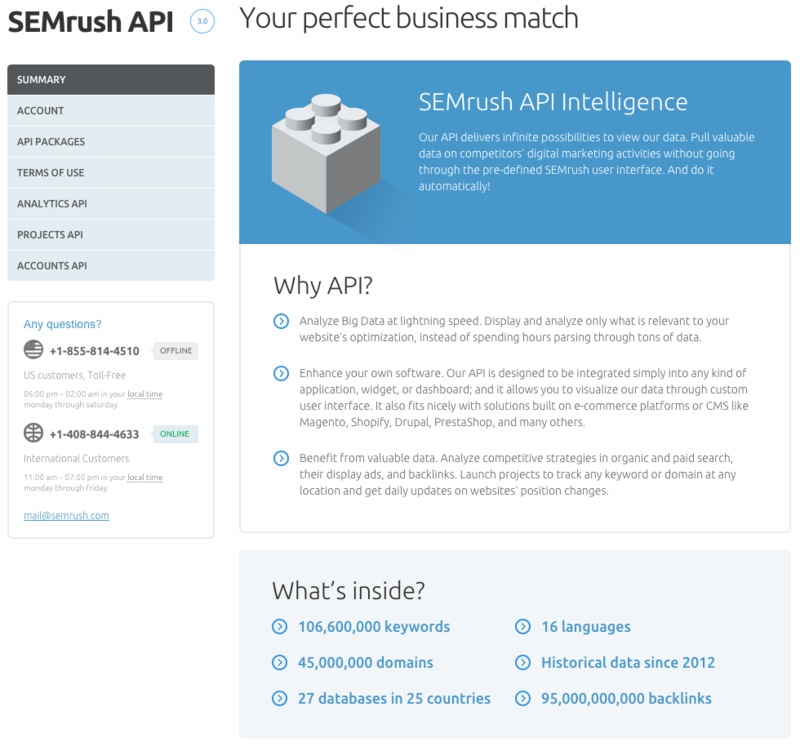 You will also notice that the SEMrush API documentation now has a new look. Take a look at the redesigned version here. New SEMrush Video Analytics Data: Beta Testers Wanted!